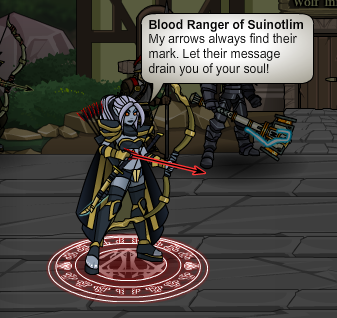 Blood Ranger of Suinotlim - "My arrows always find their mark. Let their message drain you of your soul!" Blood Ranger of Suinotlim - "I have many messages in my quiver to send you."